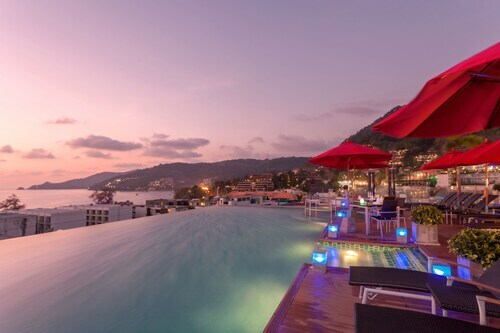 Considered by many as one of the finest tropical destinations on earth, Phuket is the largest of Thailand’s islands nestled in the Andaman Sea just off Thailand’s Indian Ocean coastline. An island of natural paradise and wild parties, your time on Phuket could just as easily see you riding an elephant as it could dancing the night away in the moonlight. Measuring some 30 miles in length and 13 miles wide, Phuket is large enough to offer countless things to explore but small enough to provide that all important tropical island feel. Featuring long, uninterrupted stretches of perfect white sand beaches, exquisitely warm azure waters and untouched forests, Phuket offers a true flavour of South East Asia. The island is more than natural beauty though, thanks to the many luxury hotels, incredible restaurants, hectic markets and crowded dance clubs that attract tourists from all over the world. 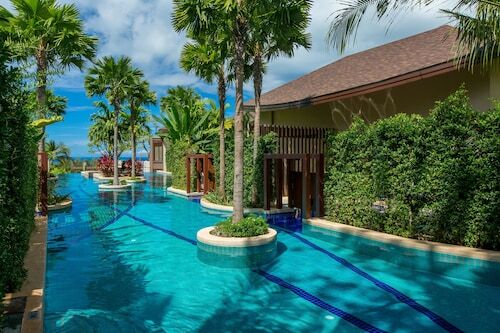 In Phuket the local saying is ‘mai pen rai’ which means ‘no worries’, which just about sums the place up. 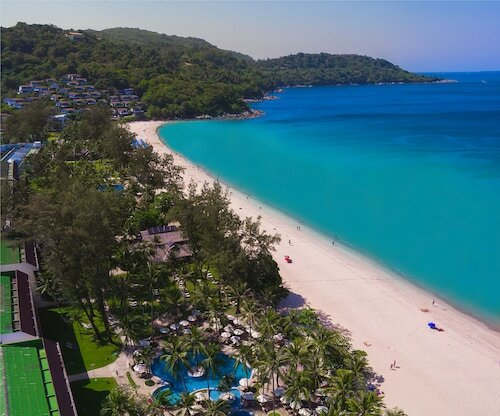 Most of the islands more tourist friendly activities are centred around the western shoreline, and it is here that you’ll find a variety of exceptional beaches ranging from the neon playground of Patong Beach to the more family-friendly Kamala Beach. For even more peace and quiet, slip away to some of the more hidden bays such as Kata Noi or Laem Singh. 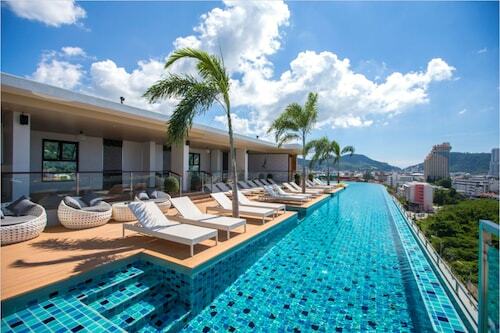 Both are great places to just sit and relax. The best way to get around Phuket is by Thailand’s signature tuk tuks. Whilst hiring a car is certainly possible, the lack of parking and occasionally terrifying local driving can make doing so more trouble than it’s worth. With so much natural beauty in the area, many visitors like to fill their days with active pursuits. From simple hiking along the coast to swimming, snorkelling and surfing, Phuket has something for everyone – including jet skiing and parasailing for the more adventurous. Hiring a boat is also a good way to spend a day, as is joining a paid cruise to tour the nearby islands. Two clusters are particularly popular due to their being used as settings for famous movies – the Ko Phing Kan islands which starred in 1974’s The Man with the Golden Gun, and the Phi Phi Islands which are best known as the tropical paradise depicted in 2000’s The Beach. For a closer look at Thai culture, why not visit the Big Buddha or the Samnak Song Buddhist monastery on Nai Harn Beach? Just remember to dress modestly when planning to visit a religious site. With the day drawing to a close, a late afternoon stroll to Promthep Cape will provide a magnificent view of the setting sun – the perfect end to yet another perfect day on Phuket. Golden sandy beaches, breathtaking landscapes of limestone karst islands, coral reefs and jungle-covered mountains make Phang Nga in Thailand a tranquil and unforgettable paradise. Offering a slower, family-friendly alternative to its party-loving neighbors, this beach is something of a hidden gem. This secluded beach is less than 20 kilometres from Phuket Town, yet it feels a world away from the well-worn tourist trail. Famed for its sheer vertical cliffs emerging dramatically from pristine waters, this location also starred in the James Bond film The Man with the Golden Gun. 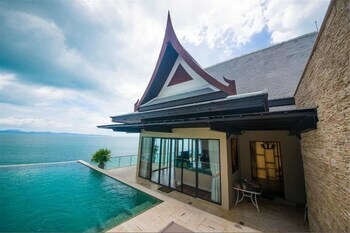 This family-friendly Kamala hotel is located by the sea, within 2 mi (3 km) of Kamala Beach, Phuket Fantasea and Tsunami Memorial. Kalim Beach is 3 mi (4.8 km) away. Wake up to the ocean at your door at this resort, which is located by the sea and set on its own private white sand beach. 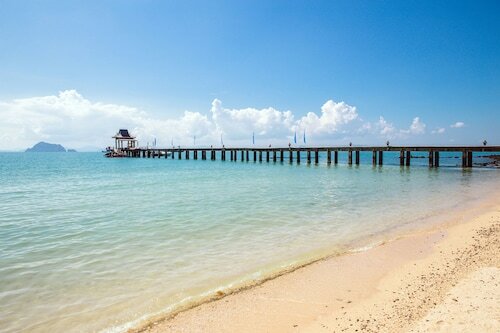 Regional attractions also include Ko Hong (Krabi) and Ao Po Grand Marina. 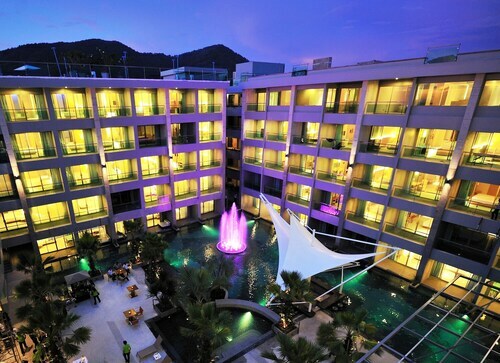 This family-friendly Patong resort is located by the sea, steps away from Patong Beach, Bangla Road and Royal Paradise Night Market. 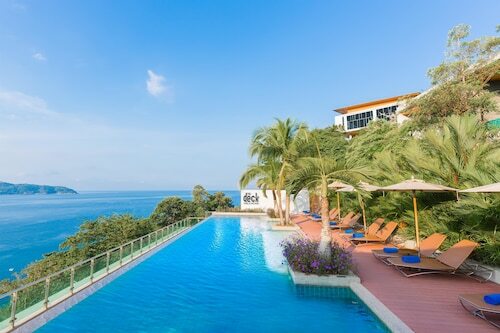 Situated by the sea, this luxury hotel is within 1 mile (2 km) of Karon Market and Karon Beach. Kata Beach and Kata Porpeang Market are also within 3 miles (5 km).